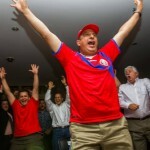 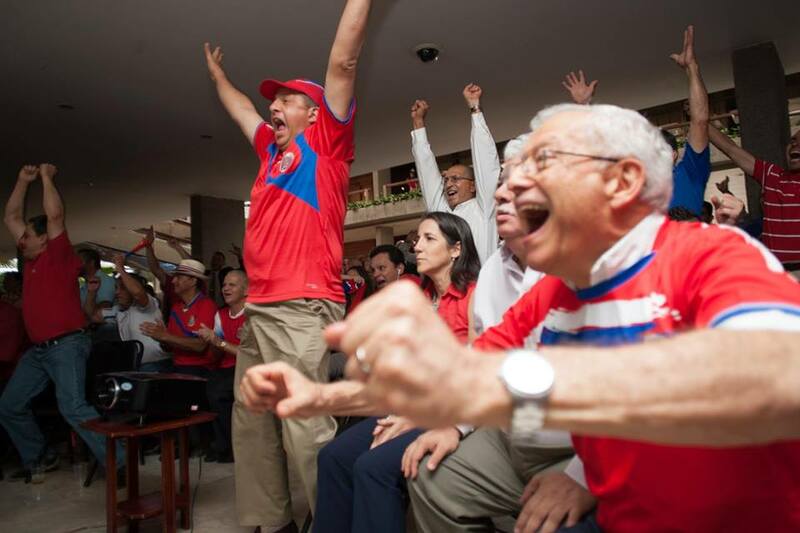 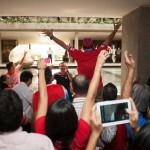 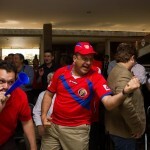 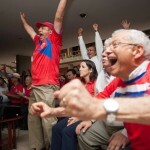 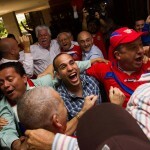 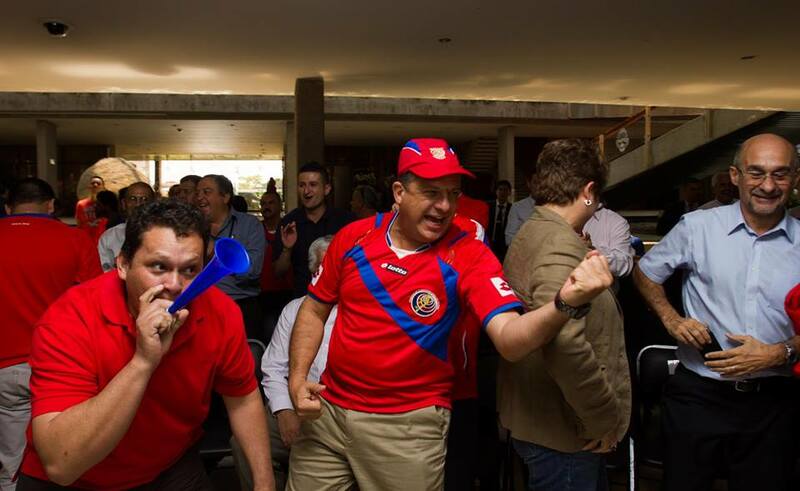 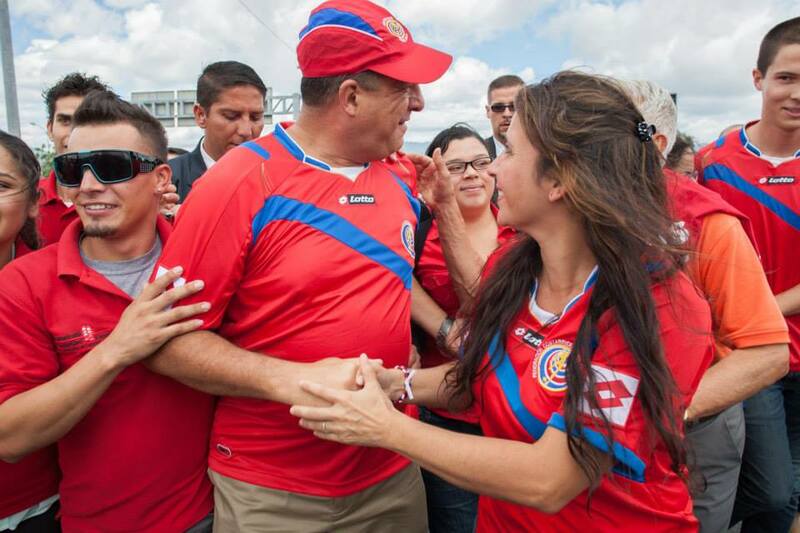 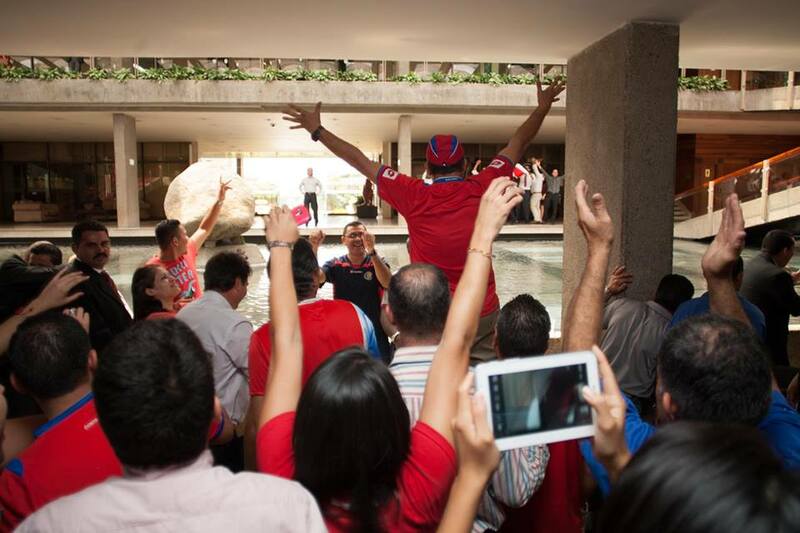 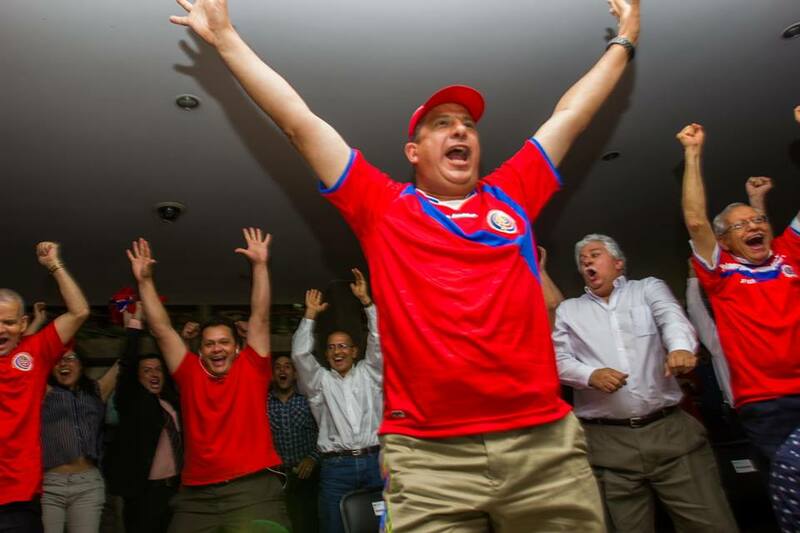 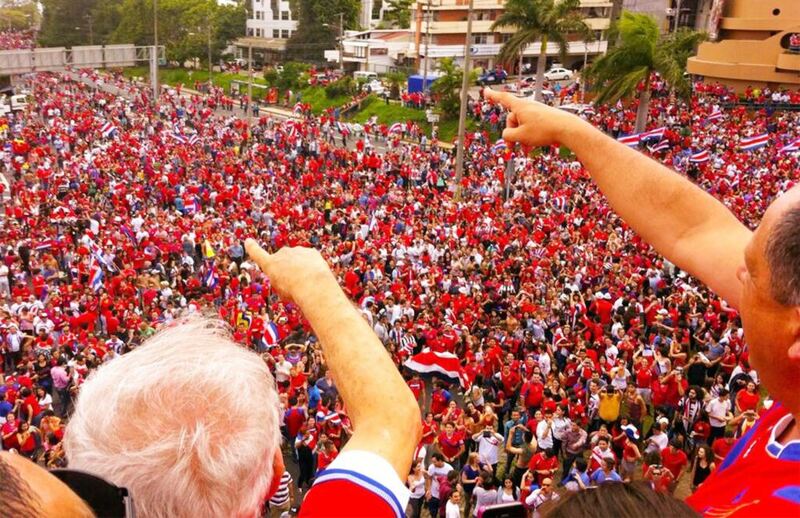 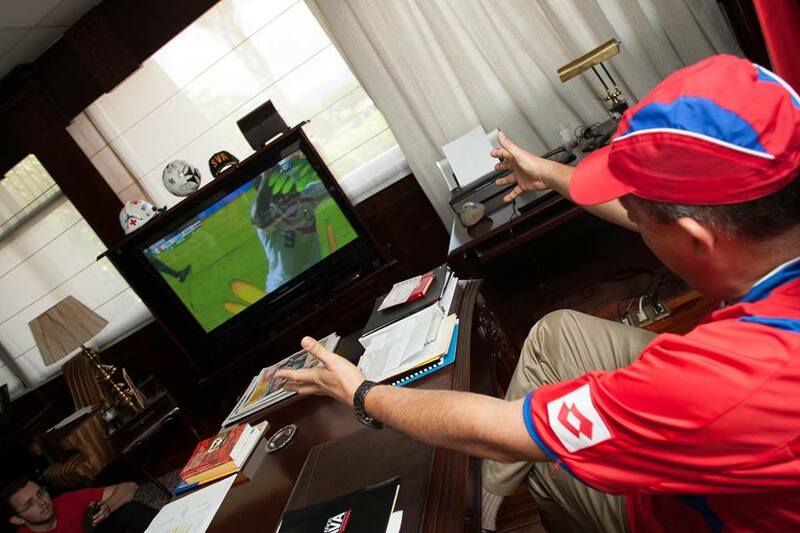 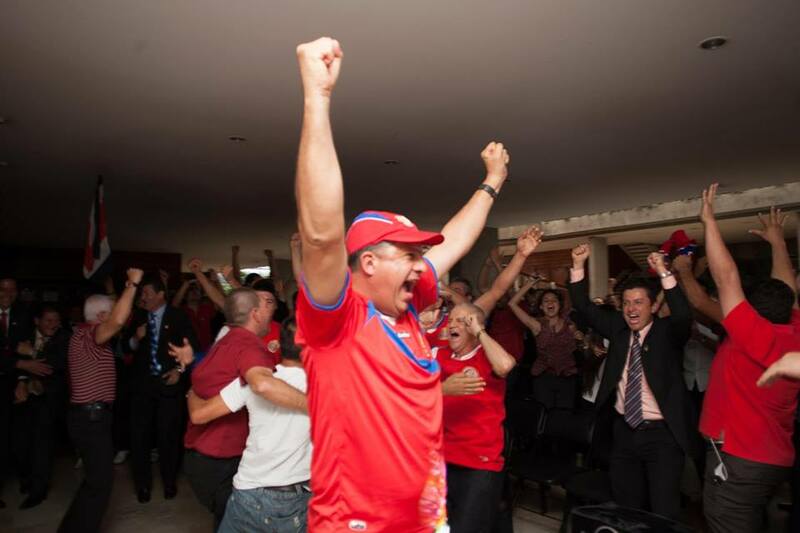 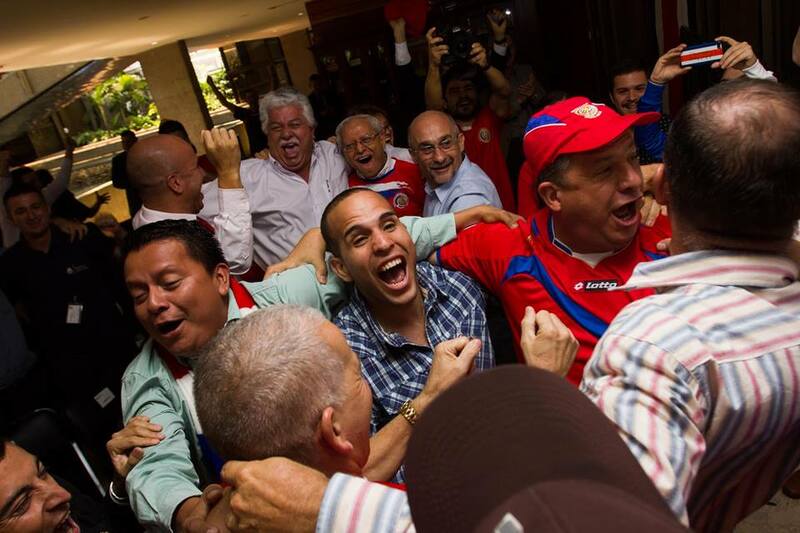 Home Front Page President Solís Celebrates Costa Rica Win! 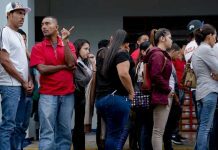 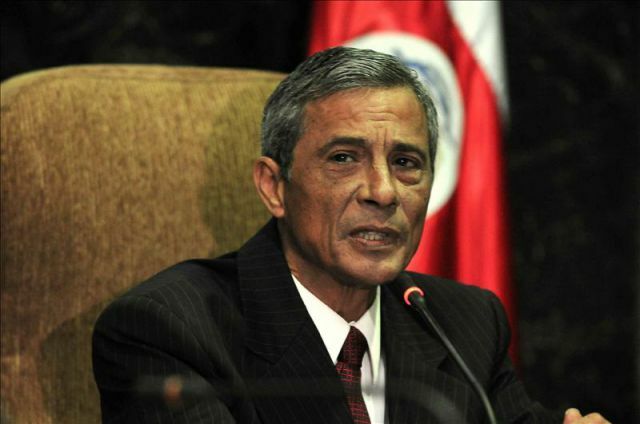 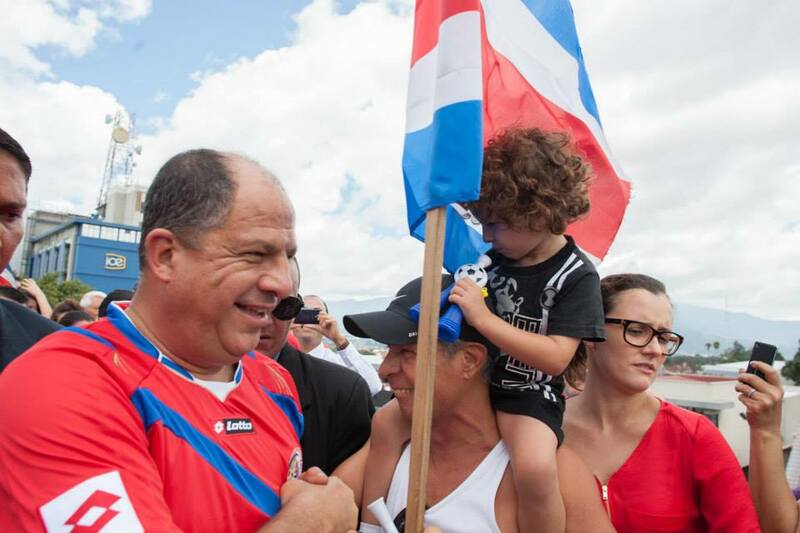 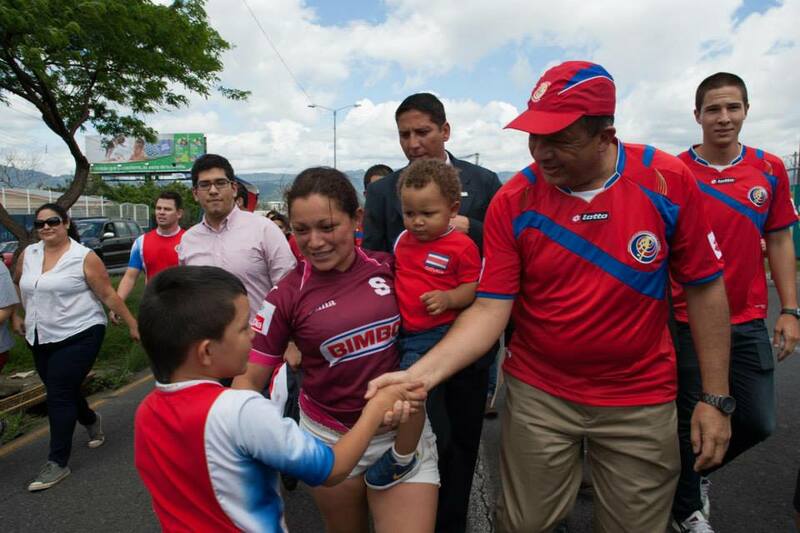 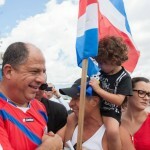 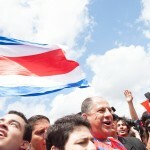 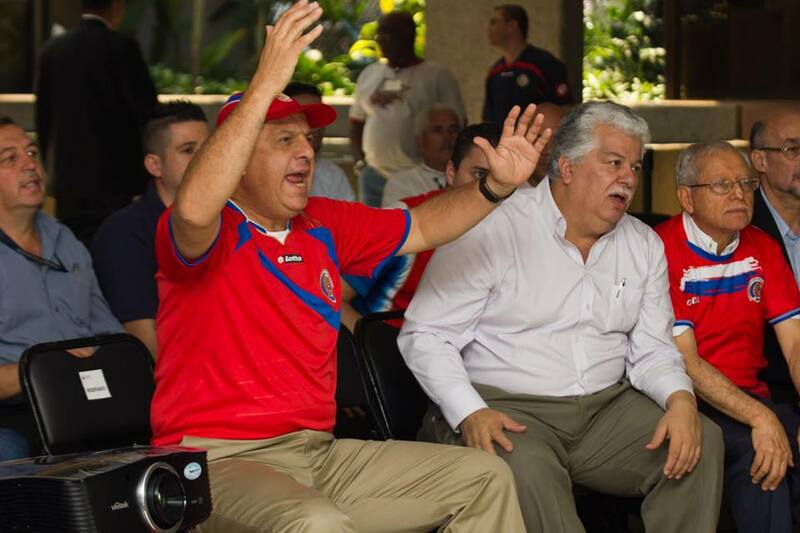 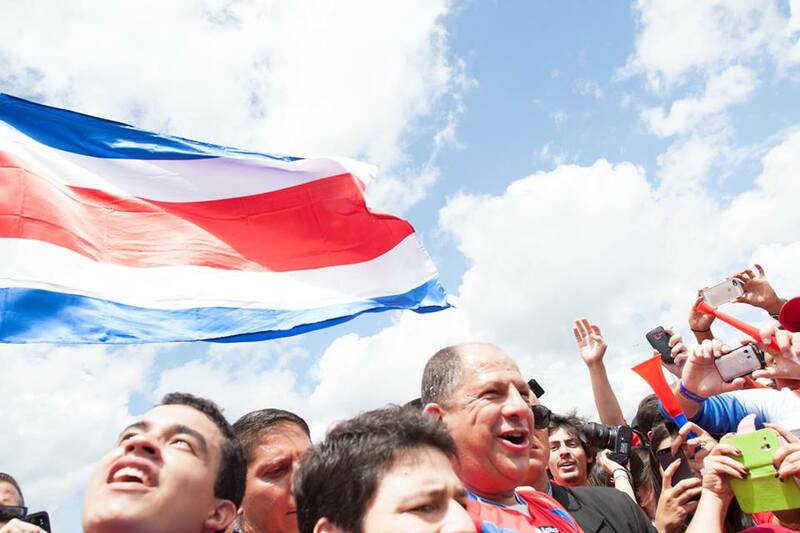 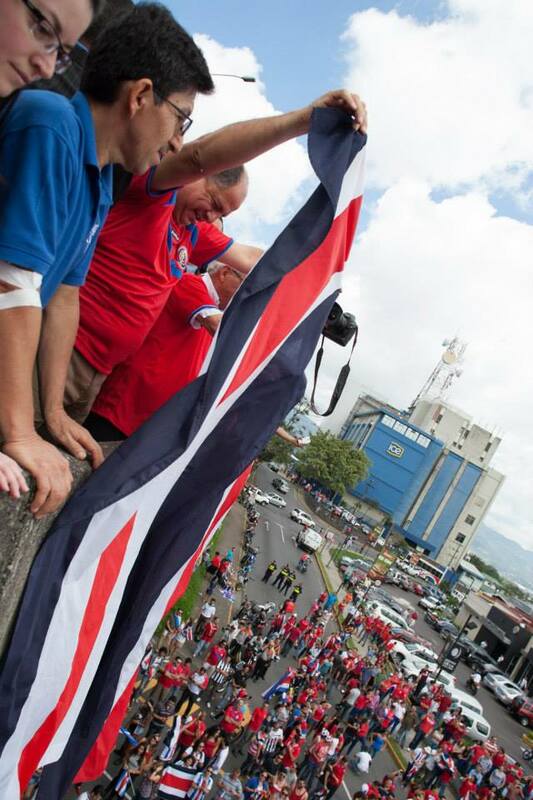 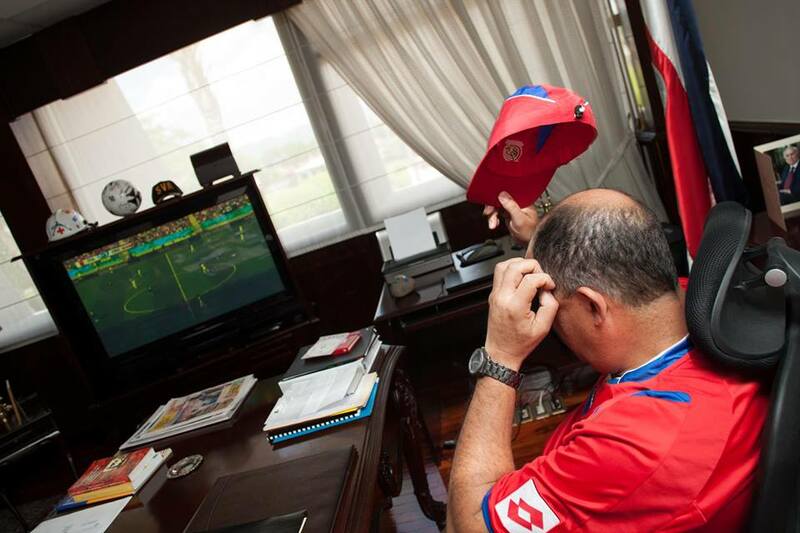 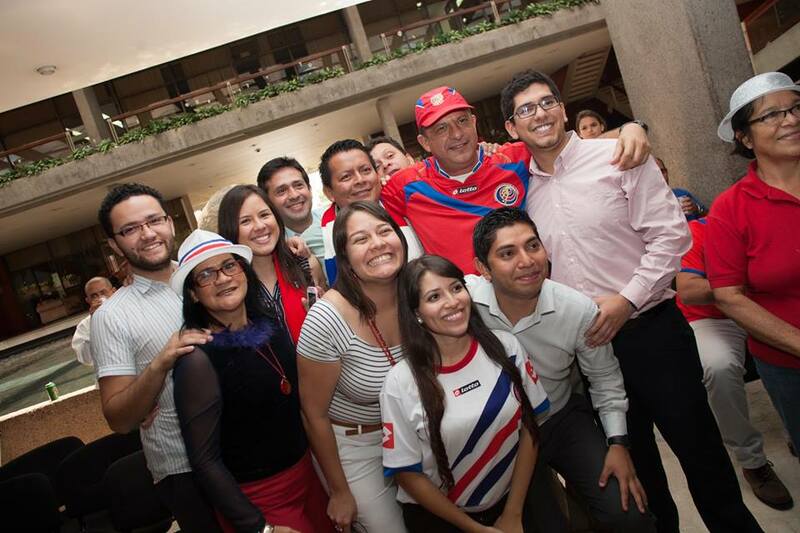 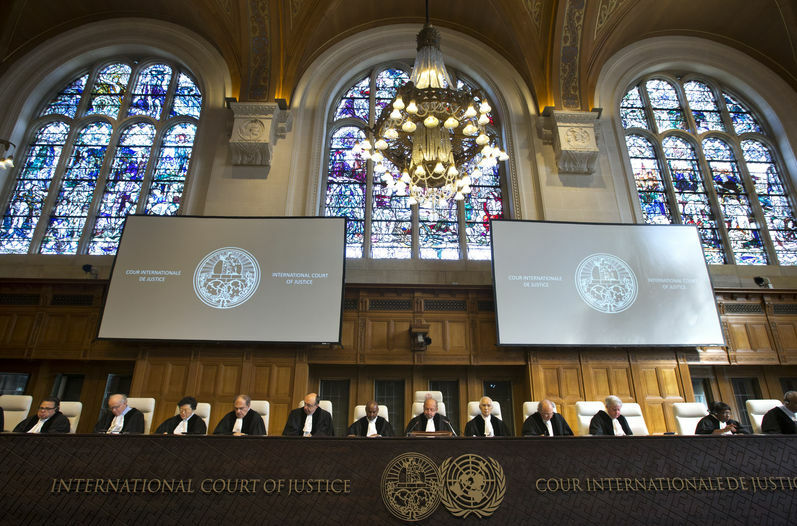 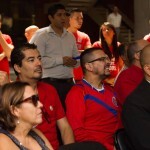 COSTA RICA NEWS – President Luis Guillermo Solís was convinced Costa Rica would win over Italy, sending his predictions over the social media of a 1-0 final score. 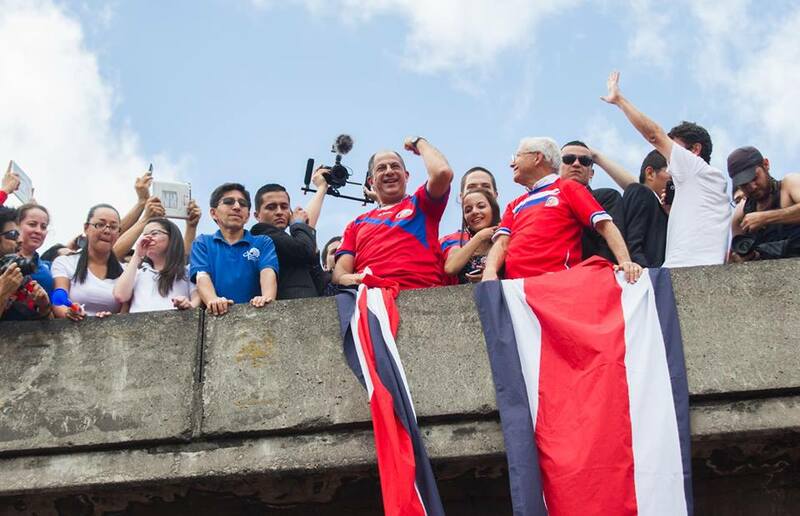 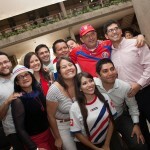 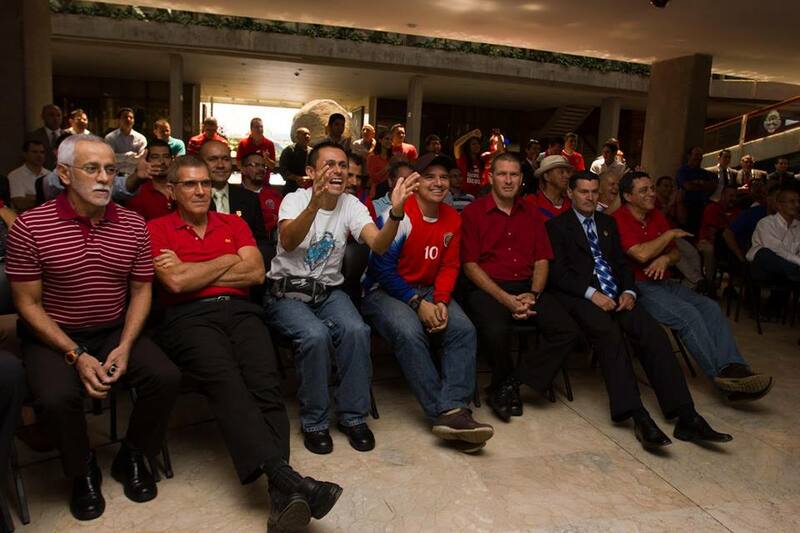 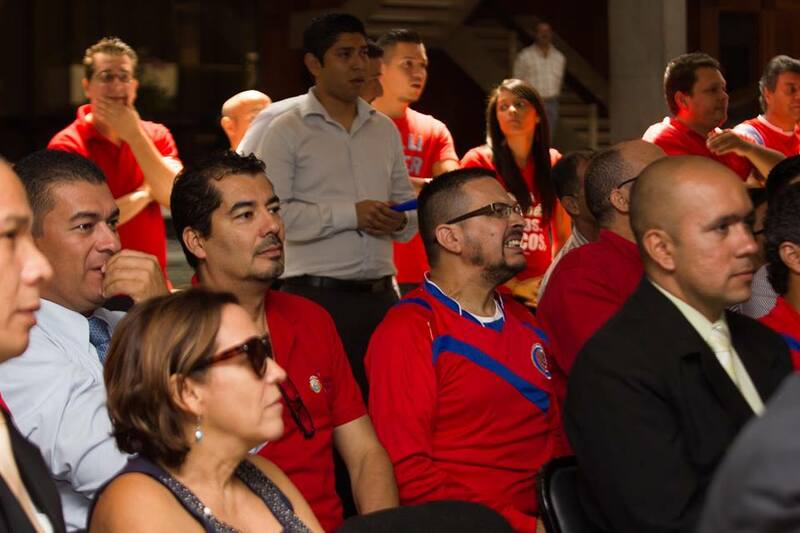 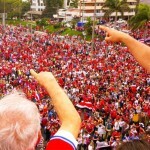 At Casa Presidencial, the President, staff and family members watched and reacted to the game, followed up by a victory celeberation in La Fuente de Hispanidad, walking around with the thousands of Costa Ricans that took part in the massive party that went well into the afternoon, under a hot and sunny sky. 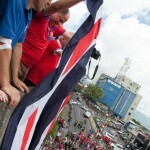 No rain fell on San José Friday afternoon! 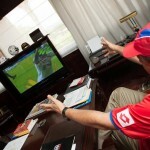 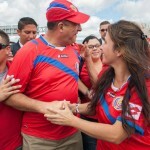 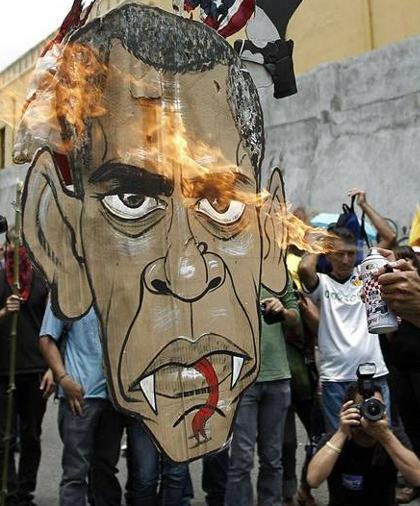 “Se lo dije (I told you)”, was the presidential tweet following the game. 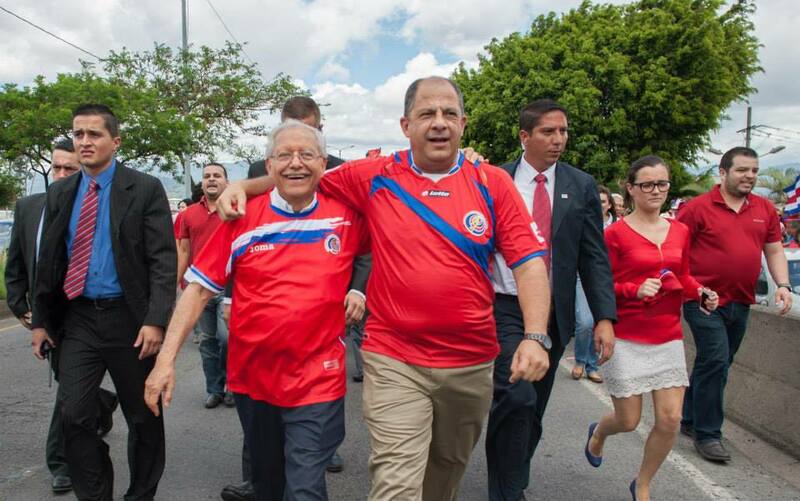 Presidential I told you so. 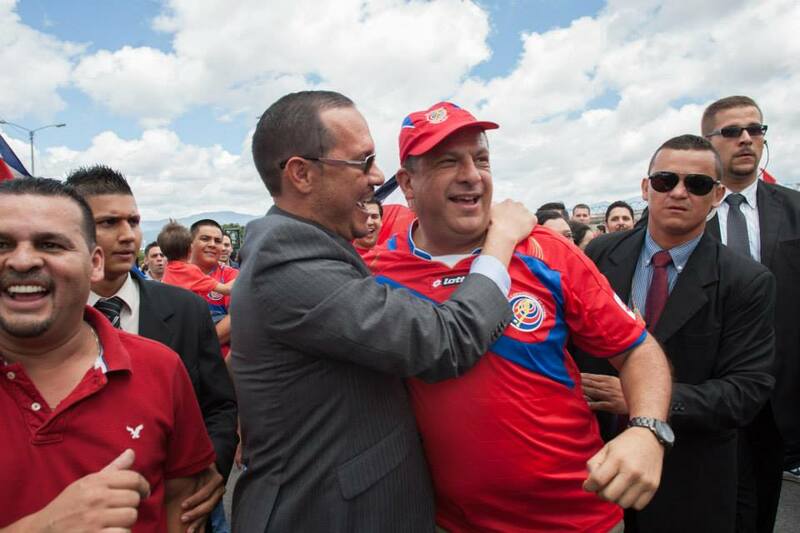 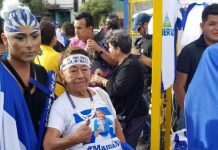 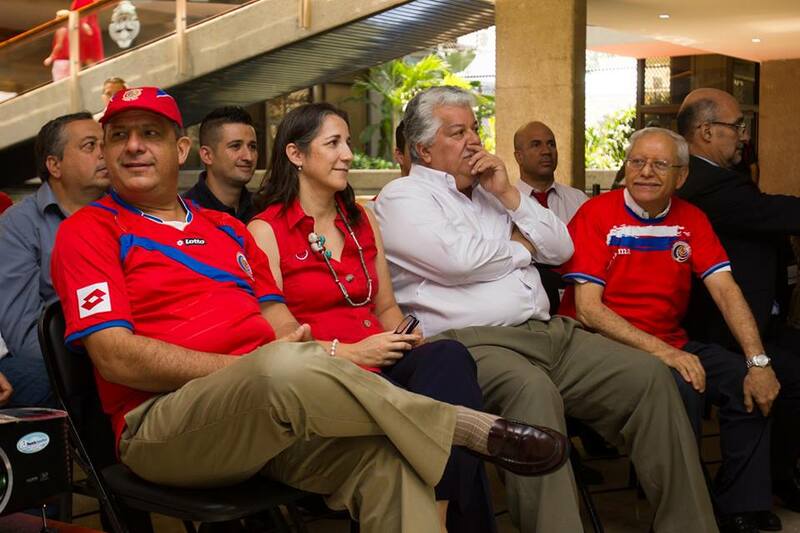 Photos from Luis Guillermo Solís’ Facebook page.